Find The Linq Las Vegas at 3535 Las Vegas South Suite 1 in Nevada 89109. Before the hotel is The Linq, so many names are on it. So, when a few guys still do not tell what the Linq is, you should understand them. Many people know the place. They may not know the name. This casino in Las Vegas goes through many changes in the past. Of course, change is inevitable. This write-up will take you through a few but important changes in the facility. Above all, this will help you fully understand what the operator is doing. The fact is that the operator wants to better the services for you. So, we started in 1959. Also, this is the first time this facility opens its doors to the public. Back then, the name for this hotel is Flamingo Capri Motel. It is adjacent to the Flamingo Hotel and casino. This time, there are only 180 hotel rooms. Fast forward to 2017; The Linq Las Vegas has a whopping 2, 640 spacious rooms! Of course, for this to happen there is a lot of work. Quite a lot of money is going into renovation and expansion. Ralph Engelstad purchased this facility in 1971. He makes big changes the following year. Ralph adds a casino to the hotel. It is now a real money gaming resort. You can walk in, play games, eat, drink and then sleep among other things. More than 18 years after opening its doors to the public in 1959, there are even more significant changes. From the 180 rooms during opening time, the hotel now has 650 rooms. Two years later, in 1979, after the completion of Imperial Tower, the hotel acquires a new name. It currently has an Asian theme. The facility takes up the name Imperial Palace. Several changes take place in the 1980s. This time, the aim is to make the casino big and better. The climax is in 1987. This year, the hotel finishes its fifth tower. By this time, the facility has 2, 637 hotel rooms. But these are also the final years of the operator. Mr. Ralph Engelstad died in 2002. He leaves behind a massive wealth seating on the Imperial Palace. There are over 2, 600 employees during the time Ralph dies. He leaves the legacy. He is the owner of the second largest private hotel in the world. Two significant changes take place within two years between 2012 and 2014. This time, the hotel gets two names. First, it was the Quad in 2012. The second title comes quickly after a $233 million renovation. 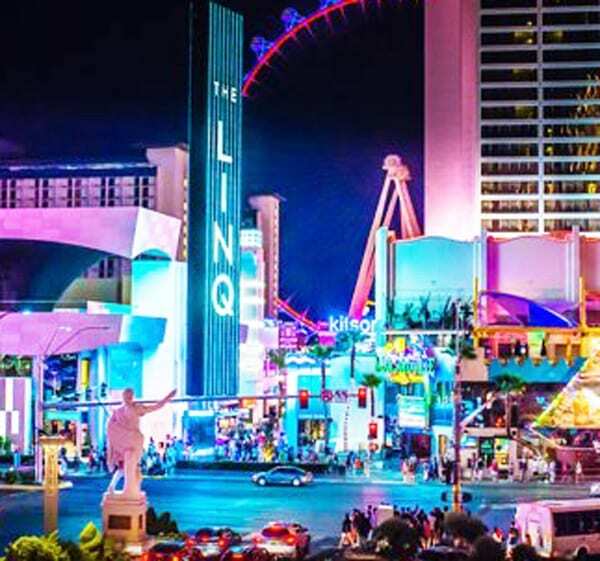 In 2014, it is now The Linq Hotel Las Vegas. Also, this is the name the hotel uses to date. · Ghirardelli Ice Cream & Chocolate Shop. · A Lifeguard on duty. · Deck chairs or cabanas. The Linq Las Vegas is a quintessential retreat for guests who want to enjoy top-notch features. These features come at pocket-friendly prices. Visitors praise the low room rates.